U.S. unconventional E&Ps often find themselves in a difficult position in the current environment. The environment has long been “grow or die,” with high emphasis placed on companies growing production. Firms that have little growth prospects generally trade at significantly lower multiples. On the other hand, a different group of investors have much different priorities. Many investors have begun to place a premium on operational sustainability instead of growth. These investors prefer that companies are able to sustain operations and generate free cash flow, rather than spend beyond their means to keep growing. Companies, then, are often forced to decide. Is it worthwhile to spend beyond cash flow to grow? The ideal company is able to do both, but most must choose one or the other. A tough downturn and volatile commodities prices have made E&Ps and investors cautious. Out of 119 E&P companies, 72 are predicted to have average 2017 production exceed Q4 2016 production. Significantly fewer, only 27, are expected to have positive free cash flow in 2017. These two are not mutually exclusive, as a total of 16 companies have both positive free cash flow and production growth. These 119 companies are plotted below. Free cash flow is presented relative to market cap, to ensure operations are comparable and adjust for company size. Production growth, as previously mentioned, compares expected overall 2017 production with Q4 2016 production levels. Because debt is also a major means for companies to fund operations, each company’s debt to market cap is illustrated as bubble size, with higher debt giving a larger bubble. Companies are identified by ticker on each chart. Several outliers are not included in the charts, to preserve scale. Micro Cap Blackbird Energy (ticker: BBI) predicts production growth of 2204 percent in 2017, and has zero debt. It will accomplish this with high spending, as its negative free cash flow balance represents 26 percent of its market cap. Rex Energy (ticker; REXX) also is not plotted, as its negative free cash flow balance is 330 percent of its market cap. 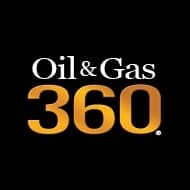 Micro cap TransGlobe Energy (ticker: TGA), which predicts 505 percent production growth, and mid-cap Paramount Resources (ticker: POU), which expects 282 percent production growth, are also not plotted. Large cap companies, defined as those with market capitalization above $10 billion, are all relatively similar. Most expect modest production gains of less than 20 percent, with only Canadian Natural Resources (ticker: CNQ) expecting larger gains. Mid-cap companies, those with market capitalizations between $10 billion and $1.75 billion, are less likely to spend within cash flow. Only five companies will generate positive free cash flow this year. On the other hand, almost every company will see production grow, with some growing by more than 50 percent in one year. Small cap companies, with market capitalizations between $1.75 billion and $350 million, are more variable. Nine out of twenty-nine will spend within cash flow, and nine will not increase production in 2017. Micro cap companies, with market capitalizations below $350 million, generally do not spend within cash flow, instead prioritizing growth. Only one company, Pine Cliff Energy (ticker: PNE) is predicted to have positive free cash flow in 2017. On the other hand, almost all small cap companies are expected to grow production.